Early Bright Green Technology large format LED installs are now over 6 years old. The sites have been operating 24/7 since 2010 and in all conditions. With a commitment to continuous improvement, we were eager to revisit the sites and test the performance. 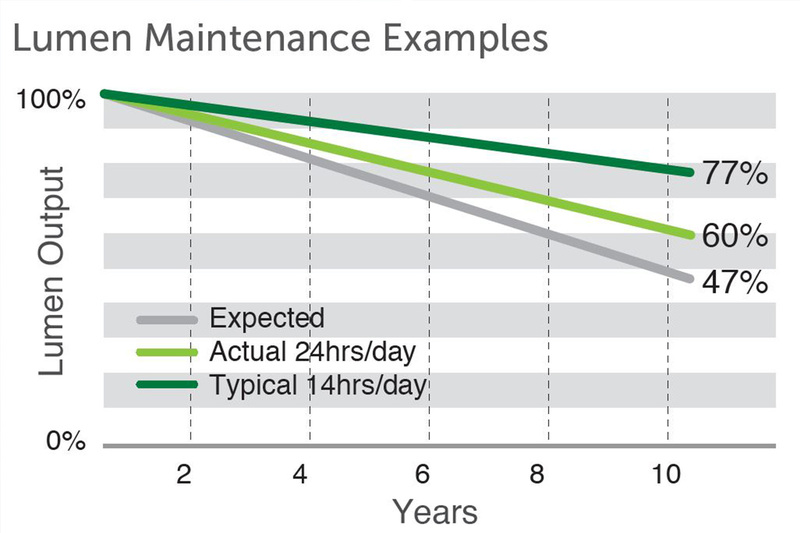 We expected the LED system to achieve an L70 of 50,000 hours, that’s 5.5 years of 24/7 operation. When our engineering team removed the LEDs to test the performance – the measured brightness was found to be just 20%, not 30%, reduced and they were in near perfect condition.